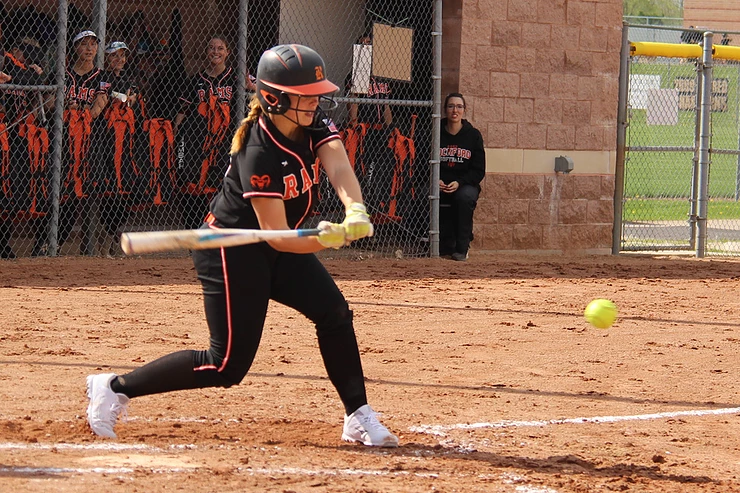 The Rockford varsity softball team played host to the Grand Haven Buccaneers for a doubleheader, May 15, and came away with one win and one loss on the night. The Rams claimed the first game in a 5-inning mercy, 15-5, but then fell in the second, 14-8. In the 15-5 win, Grand Haven actually scored first, plating two runs in the top of first, before the Rams were able to tie it with two of their own in the second. Grand Haven claimed the lead again in the third, plating three runs to claim a 5-2 lead. Rockford had monster innings after that, however, scoring seven runs in the fourth, and six in the fifth to shorten the games to five innings with a 15-5 score. The Rams tallied 14 hits in the game, with Addison Binney blasting two home runs in the game, and Katie Lawton and Kylie Winkels also hitting home runs, with Winkels also notching a double and tallying six RBI for the game. Lauren Lanphear helped pace the team recording three hits, with a double. Katie Wendtland also hit a double for Rockford. Jenna Davis earned the win in the circle, giving up five runs on eight hits. The Rams lost the second game by a 14-8 score, despite a grand slam home run off the bat of Lily Guerra. Rockford tallied 13 hits, but had trouble connecting with home plate, leaving eight runners on base. The Ram offense was paced by Lauren Lanphear and Guerra who tallied three hits apiece for the Rams. Guerra led the team with six RBI for the game. Davis took the loss in the circle for Rockford, giving up 14 runs on 12 hits.